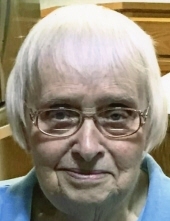 Barbara L. Wilson, age 86, of Omaha, passed away April 14, 2019. Barbara was born October 12, 1932 in Minneapolis, Minnesota to the late Percy and Erma Wilson and graduated from Abraham Lincoln High School in Council Bluffs. She formerly worked at Modern Equipment. In addition to her parents, Barbara was preceded in death by brothers, Myron (Butch) Wilson and Ronald Wilson. Survivors include brother, Terry Wilson of Omaha and various nieces and nephew. To send flowers or a remembrance gift to the family of Barbara L. Wilson, please visit our Tribute Store. Visitation with family one hour prior to the service. "Email Address" would like to share the life celebration of Barbara L. Wilson. Click on the "link" to go to share a favorite memory or leave a condolence message for the family.